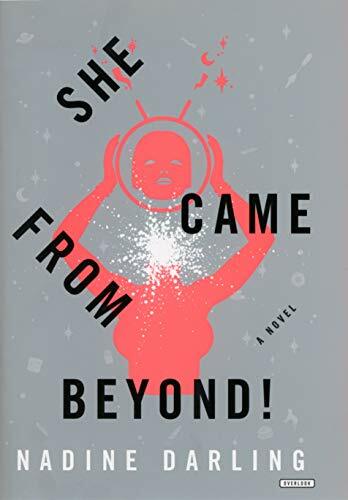 Easy Hardwicke, protagonist of debut novelist Nadine Darling’s She Came From Beyond!, is well acquainted with this “furious balance.” At nearly 30, she has a life many would envy: well-paid job as an Elvira-type movie hostess, her own home in a small (and uninviting) Oregon town, and a thriving online life. To balance that out, however, she has strange friends and co-workers, a murky past, and she’s pregnant with twins by a married man who has his own issues. Life isn’t that simple, of course. Throughout the book, Easy consistently chooses the path that will save others from as much pain as possible. She takes in Harrison’s (her lover’s) children without a qualm, puts up with the wife with equanimity—even to the point of rebuking her teenage step daughter for being unkind to her mother. Easy moves out of her own home when her presence endangers Harrison’s chance to keep his children from a previous marriage. This is not a woman who is a casual homewrecker. What makes her unlikable, indeed what blemishes the book as a whole, is an emphasis on the cutesy, the kitsch, and the wacky. Darling has some important things to say about the broad spectrum of families and what makes them successful, but they end up being buried under layers of quirkiness. Each character, aside from the three babies (who remain weirdly amorphous in the book), is wackier than the last, from Easy herself, to Harrison and his fish finger advertising job, to crazy Joan, to Easy’s two fathers (one of whom remarries a woman and one who eats himself to death). She Came From Beyond! tries to be hip to the geek culture that abounds now, but fails in the particulars with pop culture references that date the book immediately. Those that aren’t already passé (who, among the geeks this book is clearly aimed at, remembers Amanda Smart?) will be forgettable within months. Unfortunately, Darling just as easily devolves into dreck, such as the scene in Joan’s (wacky, of course) psychiatrist’s office, or when she tells us that Easy’s town has no children at all, or when she has the stepmother supporting a family for years by acting as paparazzi decoy for a famous someone. The over-the-top ridiculousness of these types of scenes is presumably supposed to be sly, but instead comes off as brittle and silly. Many times, just as the story becomes absorbing Darling tosses in a crazybomb, meant to be funny, that ruins the pacing. The story stumbles from situation to situation without a solid narrative thread to keep the reader motivated to cross the finish line. Searching for the nuggets of good characterization and coherent story—and they do exist—amid the goofy moments ultimately becomes exhausting.